Welcome. This is your first step into the world of budo karate training. This demonstrates that you are interested in karate training for yourself, your children or for the whole family. 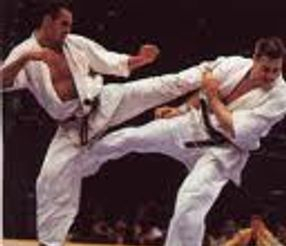 We are a school of traditional Japanese karate and we offer a complete curriculum for self-defense, competition and personal improvement. The aim of training is to improve the body, mind, and spirit. We are dedicated in helping you develop confidence through physical activity and acquiring self-defense skills. Our training enables you to exercise in a safe effective and controlled environment. *Technique and Forms *Grappling *Sparring (contact & non-contact), *Self-defense. A few productive classes a week is all it takes for you to improve your outlook and a healthier happier life. Grand Opening Special: $160/ 3 months of lessons & uniform. Ages 3 to 9 -- Focus, Discipline, Respect, Self Defense. 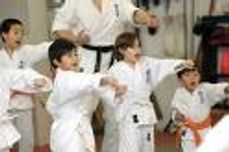 LITTLE LIONS KARATE was created for two age groups. This is introduced in 2 phases. PHASE 1: Your little warriors will learn body mechanics of balance, movement, coordination, and etiquette of the dojo. PHASE 2: Your progressing warriors will be introduced to basic fighting techniques of karate and preparing the student for rank advancement and competition. The program utilizes positive reinforcement tools to encourage young students to achieve their goals (e.g.awards, public recognition, karate games, etc). We teach the 7 Virtues of the Samurai Warrior; Integrity, Respect, Respect, Heroic Courage, Honor, Compassion, Honesty & Sincerity, Duty & Loyalty. An emphasis on physical conditioning and coordination. Your child will be trained as athlete. The level of self-motivation and self-control needed to endure such a workout generally begins in 1st grade. Under close supervision and proper protective equipment, minimal contact, and added fun, children will learn movements and combinations as a full-contact fighter. Come join our team and become a Young Lion. Classes are now forming. BECOME BULLY-PROOF, BE A LEADER, A CHAMPION OF TRUTH. Grand Opening Special: $99/ 3 months of lessons & uniform. is the study of Okinawan & Japanese weaponry as introduced and influenced by the Oyama Brothers. The class was created for the individual and martial artists wishing to learn and expand their knowledge in other styles of Japanese weapons and gain rank within the Seirei-Ha style of Japanese weaponry. The style is very rich in Japanese culture and follows the ways of Bushido. 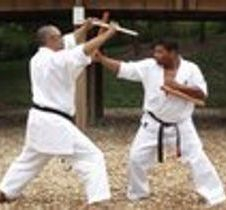 The weapons of practice are as follows; Bo staff, Tonfa, Sai, Nunchaku, Tanbo (short sticks), and Katana at black belt level. 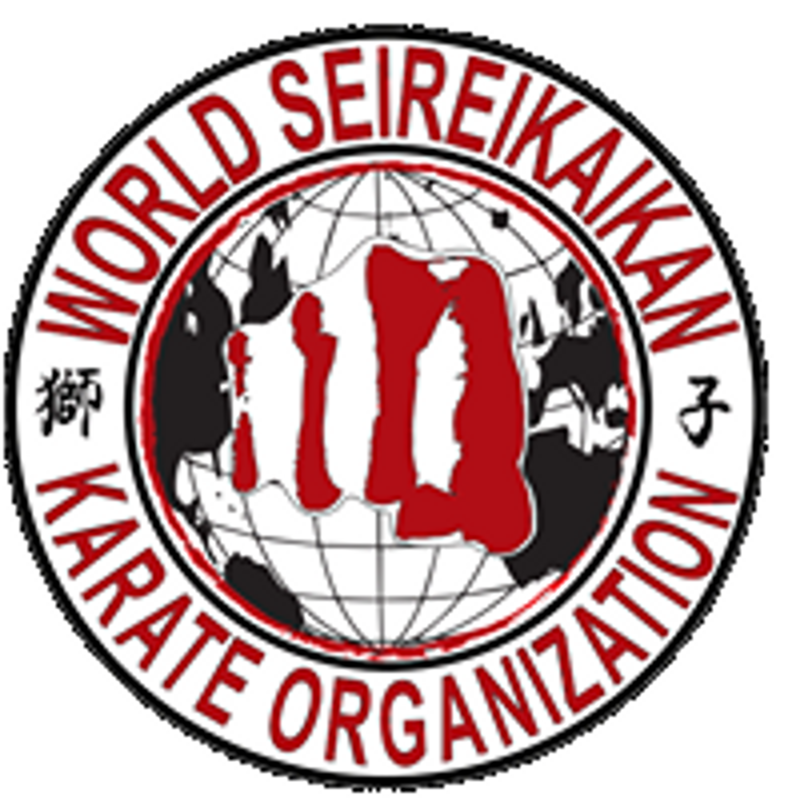 Rank and certification of mastery given under the authority of World Seireikaikan Karatedo Organization and the Independent Budo Karate Union. Call for more info on classes and schedule. Kento is the new wave of martial arts sport and competition as well as a practical form of self-defense. Kento is a martial art that is based on the full-contact Seireikai Karate, fused with Boxing, Kickboxing wrestling & Judo. Kento is where the Japanese Budo philosophy meets modern training & fighting techniques of today. A very versatile style and can complement other styles of martial arts. Kicking, striking, kneeing, throwing, & holding techniques are taught. Classes are conducted in a traditional dojo setting along with the observance of traditional dojo etiquette, however, katas (forms) and weapon training are not part of the curriculum. Training consists of calisthenics, kick & punch drills, break falls, throws & take-downs, and grappling. Competitors are referred as Kento-ka (拳闘家). 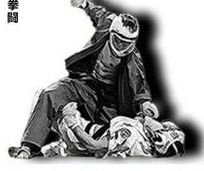 Competitors wear fist and shin guards, super-safe head guard, mouth guard and groin cup, and chest protectors are added to female and child competitors. We are former members of the major Japanese mma organization. Now that we are independent, we are free to offer lessons to all and to assist in operations of newly formed dojos. is a program that combines kickboxing, karate, yoga, and mma cross training and conditioning to stimulate your vascular system, increasing your cardio, and to enhance stamina. FIT-Boxeo is our customized workout program to increase your cardio and flexibility. Utilizes fundamentals of real kickboxing, karate, mma cross training, and yoga style stretching. Includes heavy bag training to strengthen and toning your arms and legs. Physical conditioning to strengthen your core and stamina resulting in a stronger body, self esteem and confidence. A full-body-complete workout that will energize your mind, body, and spirit. All registered members receive FREE Fit-Boxeo T-shirt. Classes are now forming - Reserve your space.